I have made significant modifications to the Great Planes Avistar 30cc in order to make it a worthy tow plane. The following posts will walk you through all the changes I have made and an explanation of why I did them. For now, because I travel a lot and can't put this all together in a single post, I will leave you with a few photos and let you know that my plane has a DLE 55cc engine. 90" wingspan. If you are familiar with the large Avistar look at the size of the elevators. 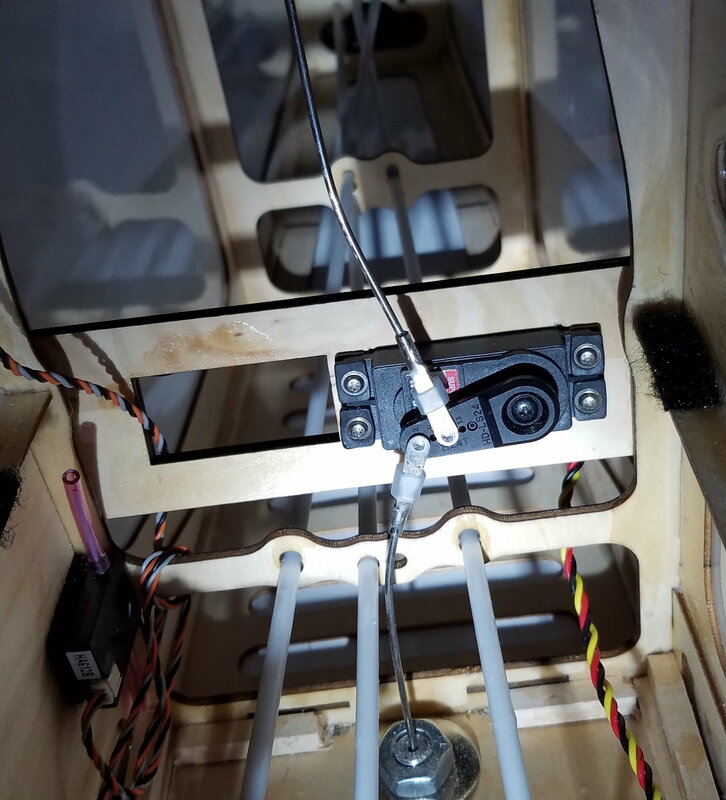 I added 3" making it a 5" elevator. 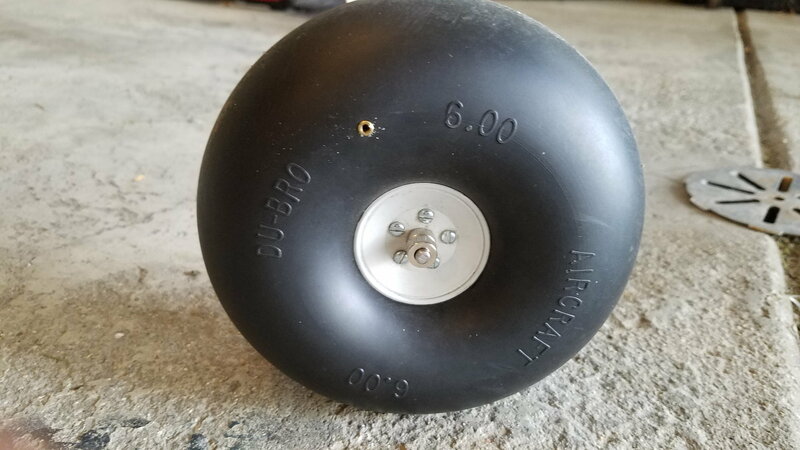 The landing gear is from the Bidule 111 and the wheels are Du-Bro 6" inflatable tires. Adding 3 extra inches to the elevators. Last edited by steve1mac; 10-18-2018 at 05:58 PM. If you plan to tow banners it's a good idea to protect your tow line from getting caught in the tail wheel or control horns. 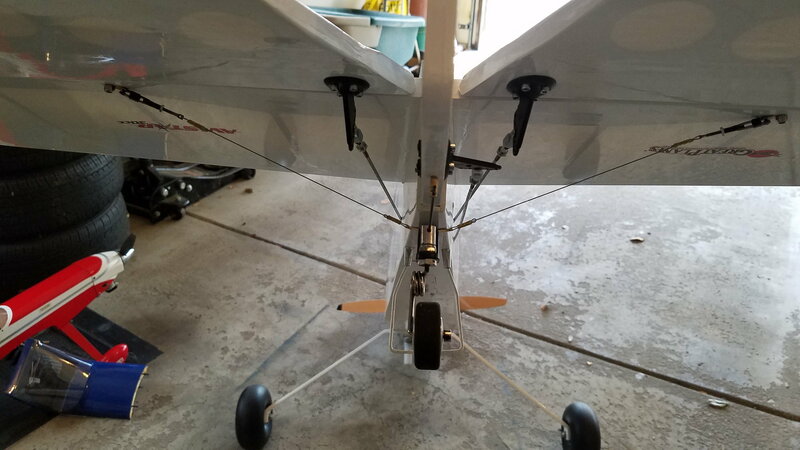 The following photos show a wire guard in front of the tail wheel and two cable stabilizers that guard the control horns. Wheel guard detail. 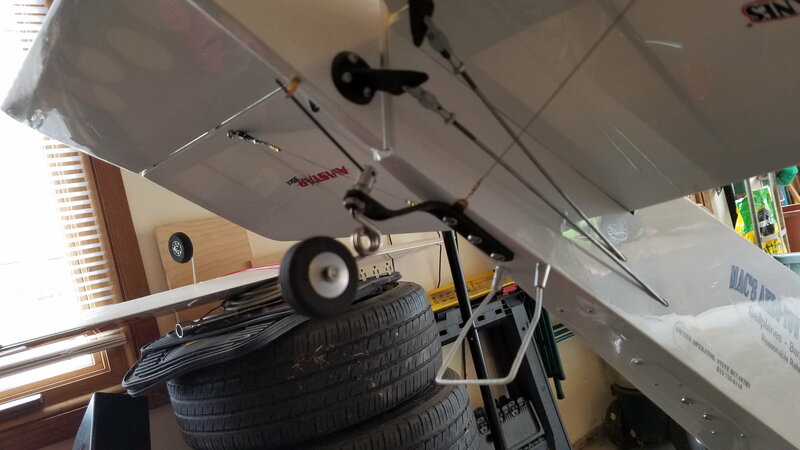 The tail wheel assembly is carbon fiber from Sullivan Products. 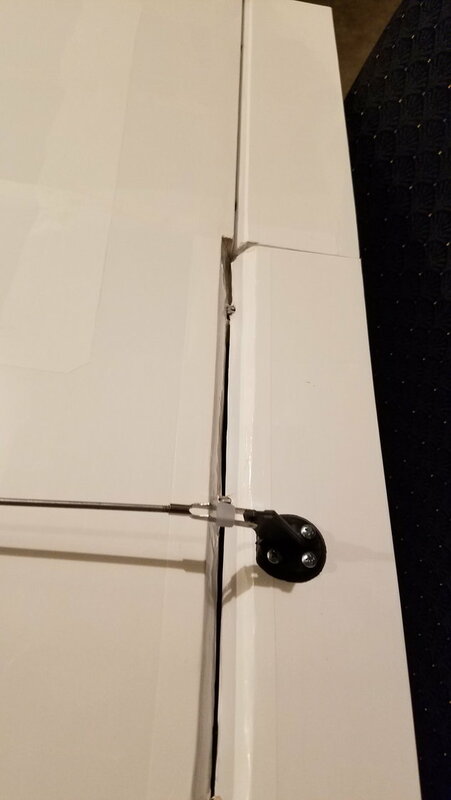 The wheel guard is a coat hanger. Although the photo doesn't show it properly, the guard is ½ inch above the wheel axle. Rear view of cables guarding control horns. After the first few flights I noticed that the canopy was working its way off its mount. The inside was also quite warm from hot air passing through the firewall. I covered the firewall hole with a removable piece of plywood. And added two additional magnets to the canopy. 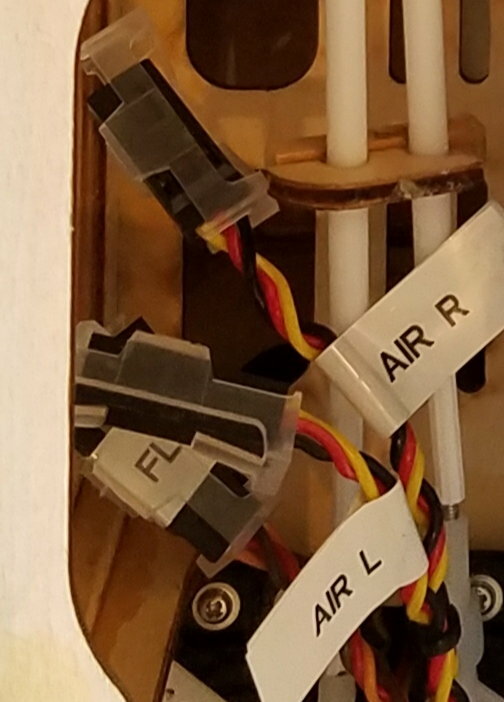 There is no need for hot air blowing through the fuse. 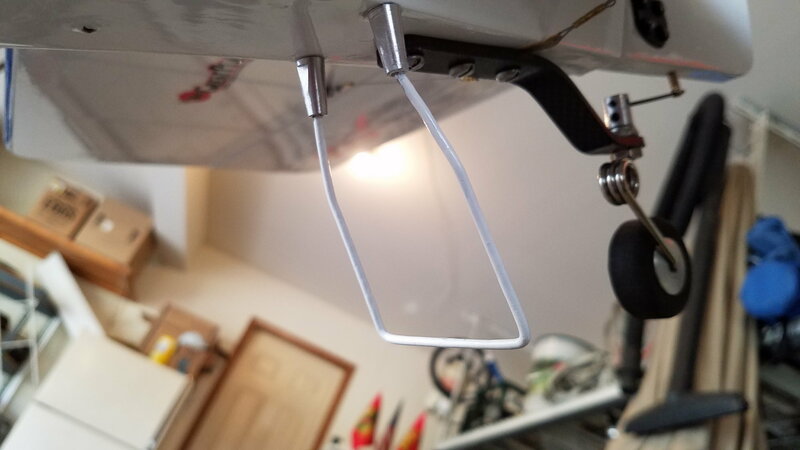 If you buy the tow hooks that are suggested as accessories to the Avistar 30cc you will have to file and smooth the opening so it doesn't cut your tow line. The edges are surprisingly sharp! 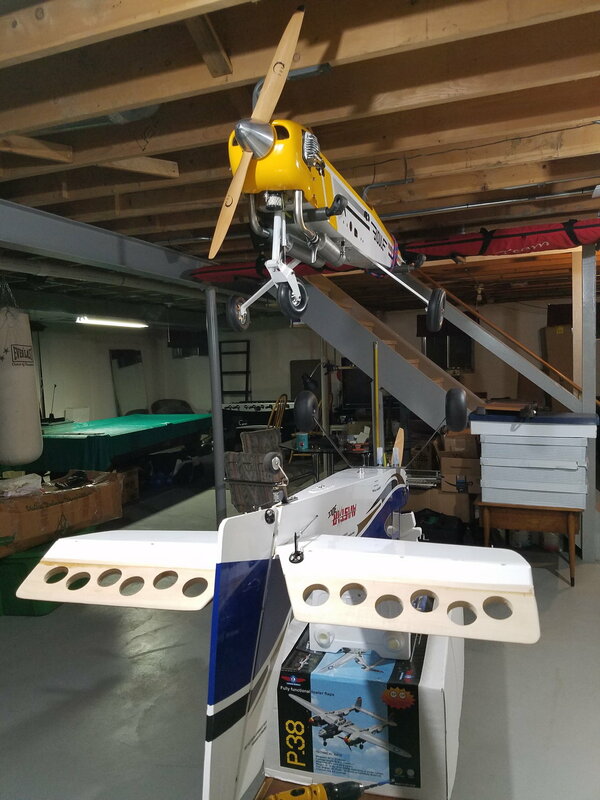 I installed tow hooks on top for sailplanes and on bottom for banners. One servo will control both. One servo controls both tow hooks. Last edited by steve1mac; 10-19-2018 at 04:50 PM. After extending my elevators to 5 inches, I was having some fun watching this Avistar make tight turns and immelmans like a 3D plane. However, this is NOT a 3D plane! 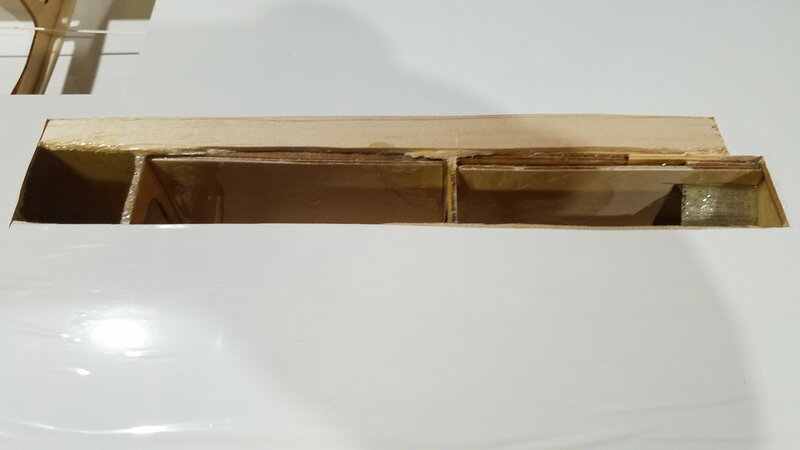 The wing joiner is only a 15 inch tube. 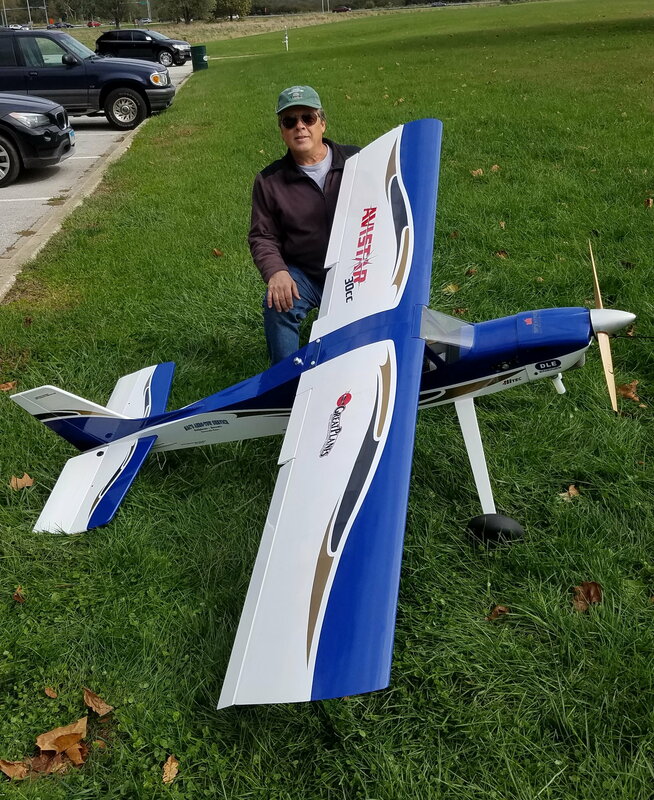 It seems small for a 90" wingspan and I proved it during those tight turns. 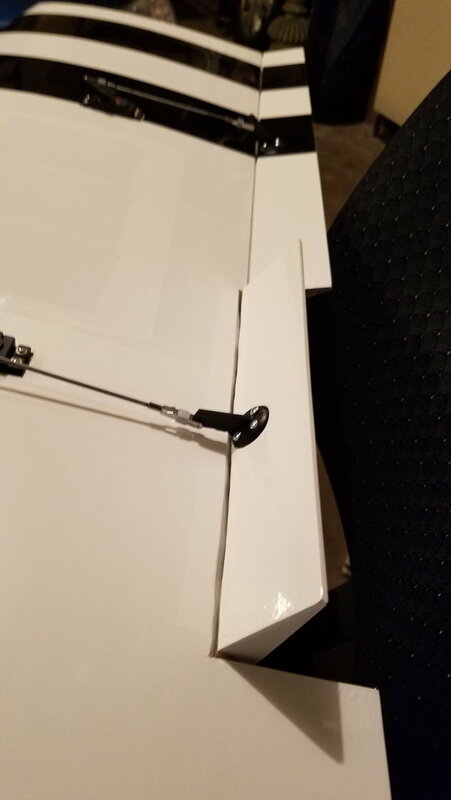 My left wing cracked during flight. I needed to strengthen the wing. I was going to make room for a longer tube but that would be more major surgery than I wanted to deal with. 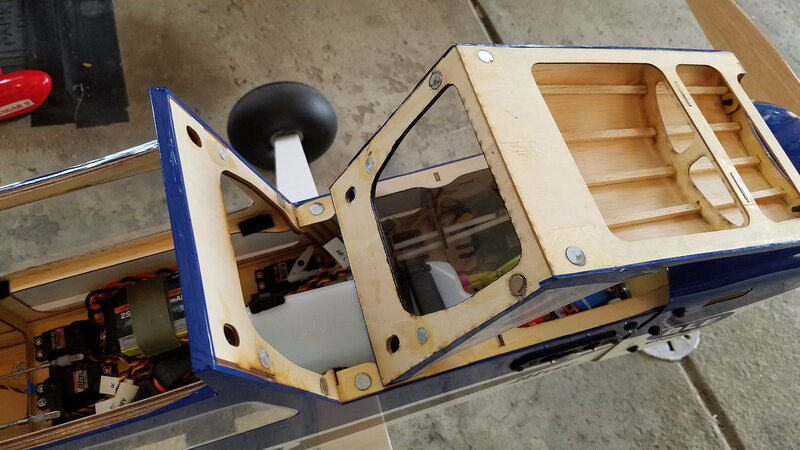 So, I decided to add plywood between all the ribs I could get at without tearing up the whole wing. I then covered my work with a coat of fiberglass and epoxy. 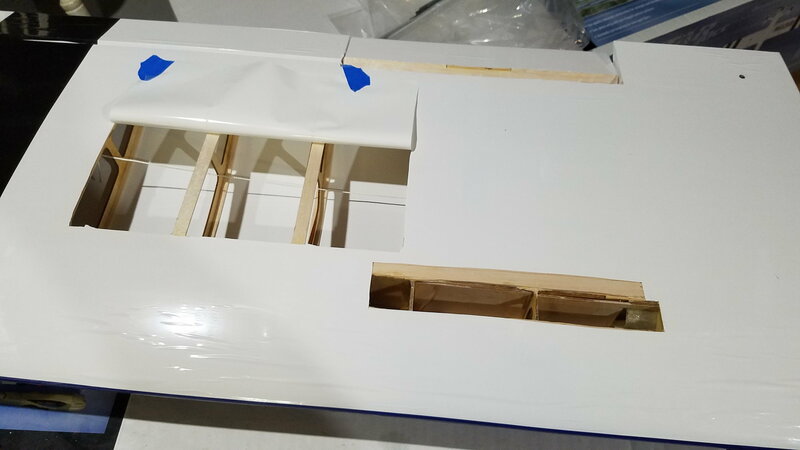 I exposed about a 15 inch area of the wing spar and added plywood. 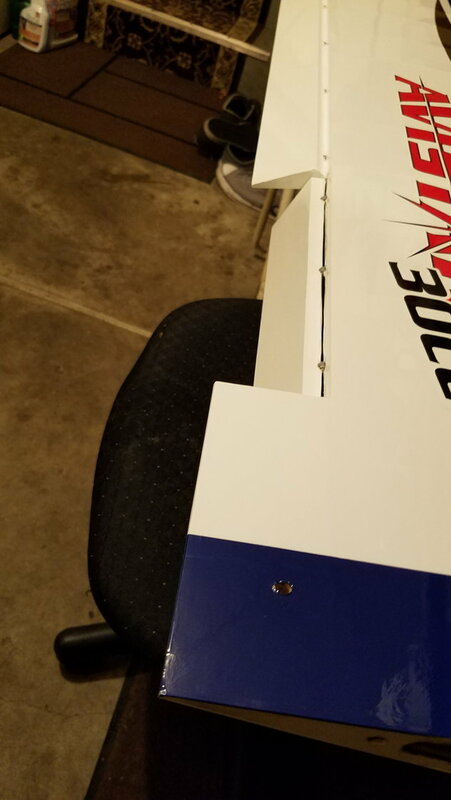 Some spots near the end of the wing tube I was able to add strength on both sides of the spar. between each rib I epoxied thin plywood and covered all these areas with fiberglass. Last edited by steve1mac; 10-19-2018 at 03:54 PM. 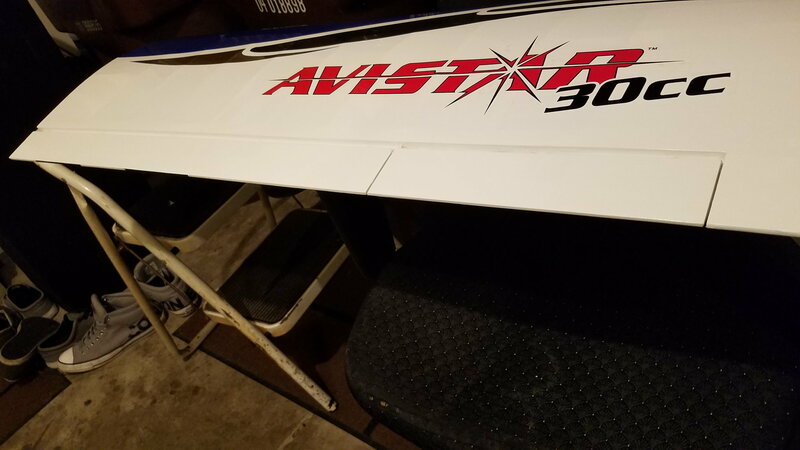 Although this Avistar 30cc has "flaps", they are almost useless for slowing this plane down. 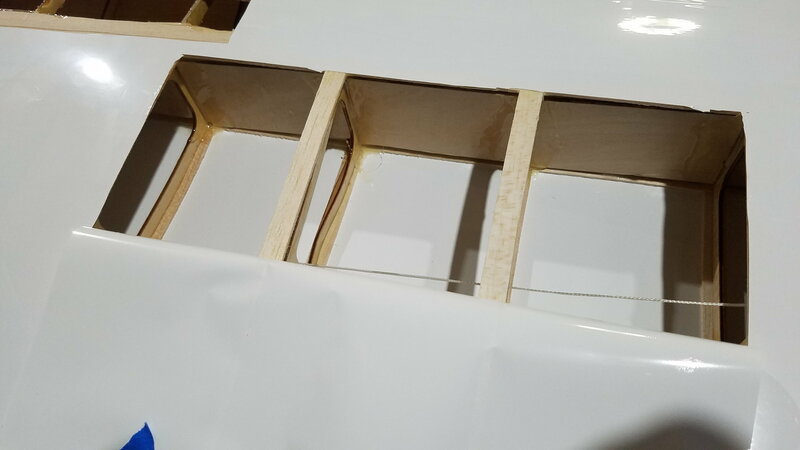 The flaps are cut the same as the ailerons and barely manage a 30° deflection. I carved out the hinge area and re-covered it so the flaps can drop to about 70° deflection. I also created a mix, FLAP to AILERONS, so when I drop the flaps I also get some flaperon assist. My middle flap position gives me 30° flaps with 15° flaperons which is great for short takeoffs or very slow cruising while pulling a banner. Some detail of the landing gear. 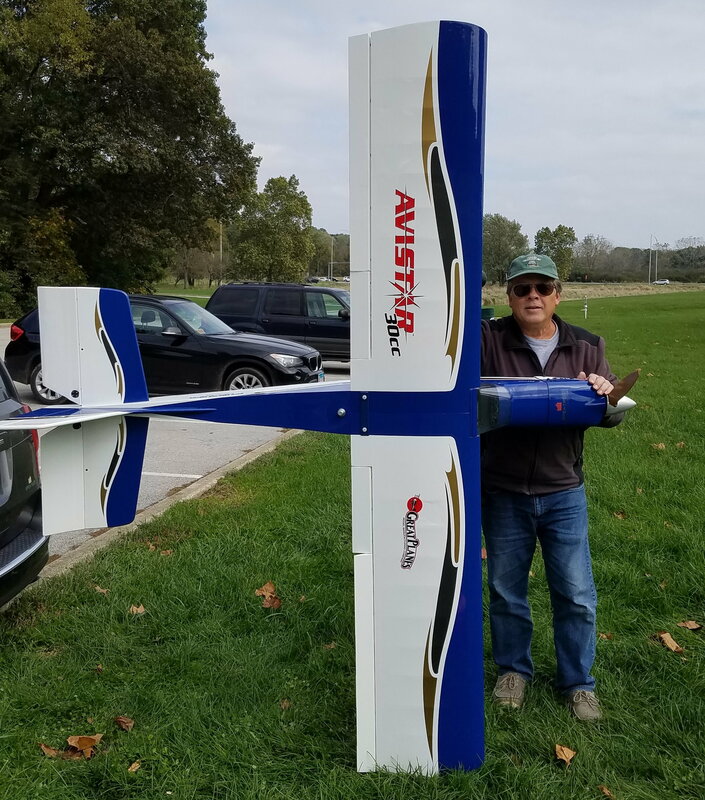 The gear that comes with this Avistar is way too narrow to manage an 8 foot wingspan. Also, since I installed a DLE 55cc, I am cutting the air with a Xoar 22x10 prop and needed more ground clearance. I am familiar with the Bidule 111 since I own one of these and decided to use its carbon fiber gear for this modification. Although the Bidule gear is much larger it weighs the same as the aluminum stock gear from Great Planes. 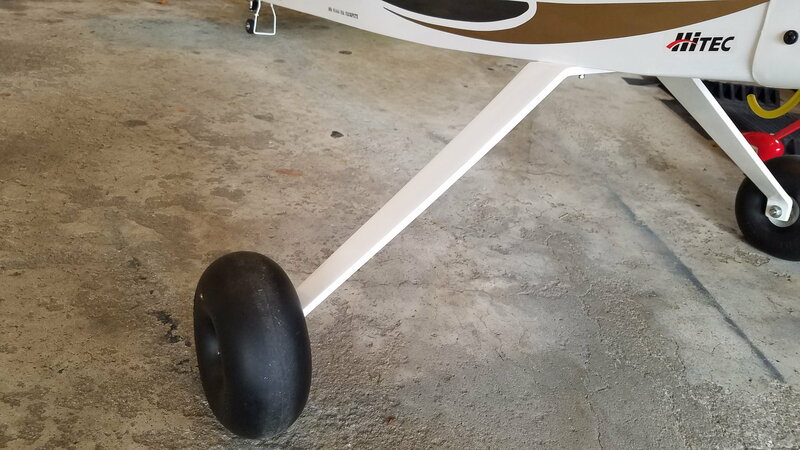 Since most of this plane's work is done on grass I installed Du-Bro 6" inflatable tires. They also work great on asphalt. I keep them a little soft so they are sluggish and help slow the plane down. Bidule 111 carbon fiber gear 20" wide x 9" height. 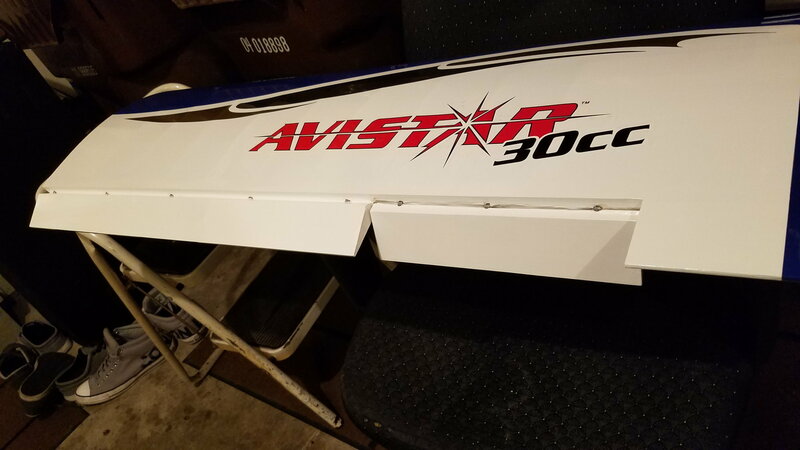 The stock Avistar gear is 17" wide x 6" height. Big fat mushy tires are great on any surface. Last edited by steve1mac; 10-19-2018 at 05:36 PM. 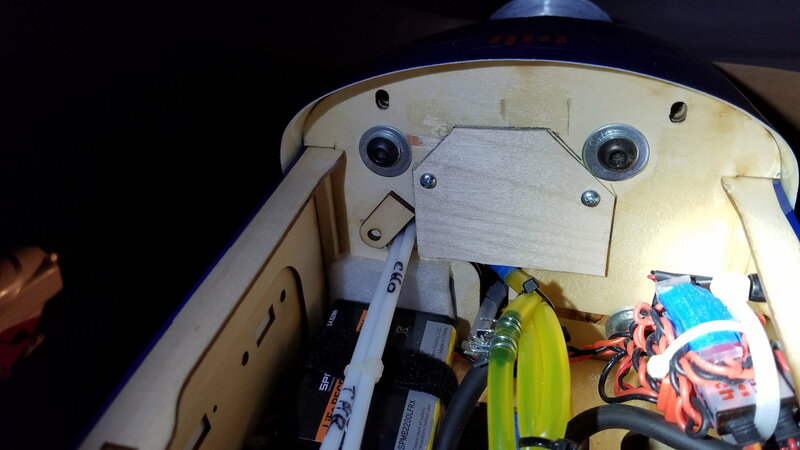 Anywhere there are servo connections there is a potential failure waiting to happen. 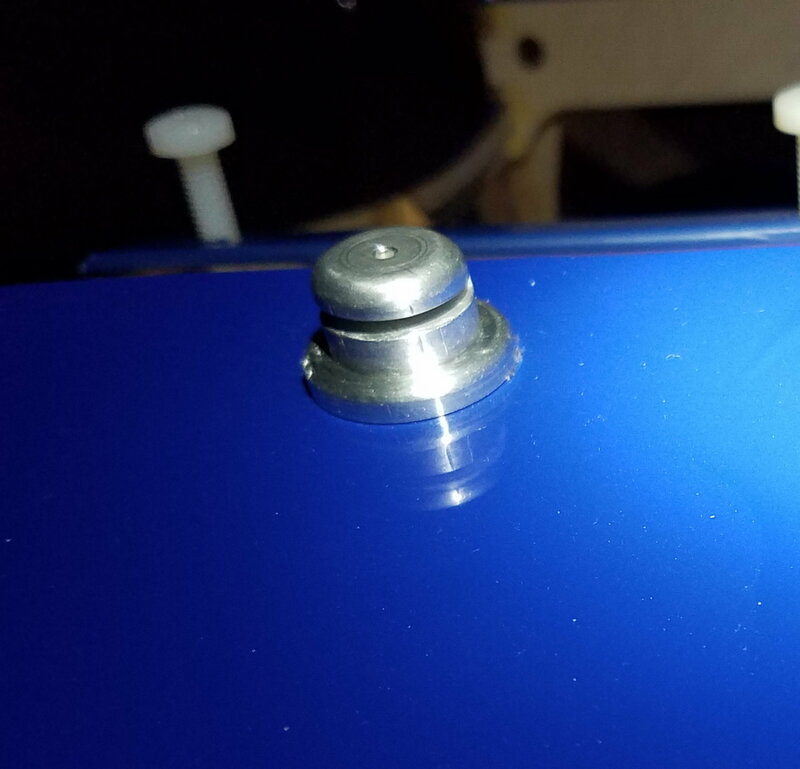 All of my in-line servo connections are protected with Spektrum Servo Clips. They are cheap. About $0.30 each. And can save your plane from connection failure. These are the clear plastic kind. Other manufacturers make them in multiple colors. Last edited by steve1mac; 10-20-2018 at 06:36 AM. With all my modifications the total weight of this plane is 21Lbs. 11 ounces.